Send in LoLcats to the Forum...! So this is just a quick reminder that it's that time of the week again and we need you to send in some original and rare lolcats to the forum! Last week you guys neglected to send in photos and we were forced to overwork one kitten for the whole site! Now look at him! You people should feel terrible! 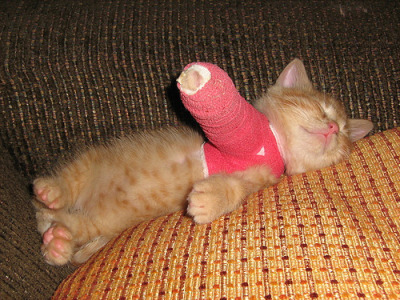 So spare this Kitten another abusive weekend and send in pics to the Forum. Cheers to you guys, because you make me lol... keep sending in cute pics. We'll make them LoL-worthy on our end!